Celebrations connected with the harvest seasons have had a cultural importance since time immemorial. Be it the North-East, the Western plateau, or South India, the merriment have been instrumental in keeping the community deeply connected to its roots. That and more, is the story of the festival of Baisakhi. Baisakhi Festival marks the time for harvest of rabi crops and they celebrate the day by performing joyful bhangra and gidda dance. In Punjab, the yellow colour is worn by both men and women as it symbolizes fertility. For the Sikh community, Baisakhi has a very special meaning. It was on this day that their tenth and last Guru - Guru Gobind Singh - organized the Sikhs into Khalsa or the 'pure ones'. By doing so, he eliminated the differences of high and low and established that all human beings are equal. The harvest festival is a method for people to not only celebrate a good crop yield, but also to thank God for having blessed the land. And since we are talking about Punjabis, who are by nature fun-loving people, the phrase 'the more, the merrier' certainly holds true for the festival. The auspicious date of Baisakhi is celebrated all over India under different names and different set of rituals and celebrations. Baisakhi date coincides with 'Rongali Bihu' in Assam, 'Naba Barsha' in Bengal, Puthandu in Tamil Nadu and 'Pooram Vishu' in Kerala. 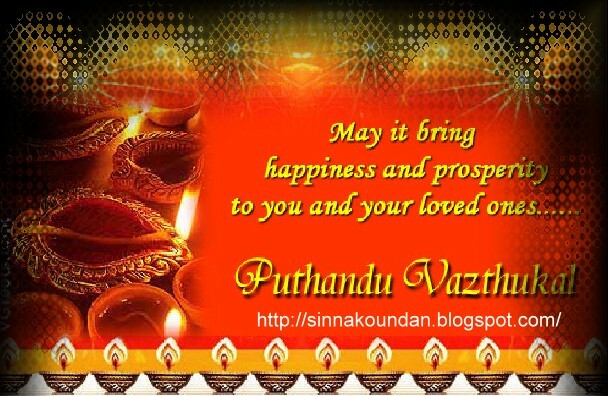 This is new year according to Tamil calendar. In Tamil Nadu, people follow some strict rituals in a belief to ensure well-being and prosperity of their families. The most popular tradition is to view Kanni at dawn with a hope to bring good luck. People start the day by watching some auspicious items like gold and silver jewelery, betel leaves, nuts, fruits and vegetables, flowers, raw rice and coconuts. Following the rituals, Tamilsiams take bath, wear fresh clothes and visit the temples to pray for success in life. After this, Panchangam (almanac) is read. Rongali Bihu is the new year of Assamese. The new year starts with the month 'Bohag'. This is the reason why Rongali Bihu is also called 'Bohag Bihu'. The word 'Rongali' is derived from 'Rong' which means Happiness and celebrations. So this festival represent happiness of the society. All the Bihu festivals of Assam are related to harvesting. Rongali bihu falls in a period when the there is no work for the cultivators but still there is enough in the store to enjoy. Being a agriculture based state, Assam, has always marked this Bihu as the symbol of joy. This also biggest the festival in Assam and celebrated in every corner of the state. Nababarsha is the first day of New Year for Bengalis. Nababarsha is the first day of Baisakh month. On Nababarsha, women draw colourful Rangolis or alpanas infront of the house. They put a kalash in the center of Rangoli which is filled with water and decorated with mango leaves. Nababarsha celebrations starts with Prabhat Pheris early in the morning. For Prabhat Pheris people wears traditional dresses as women dressed themselves in White Saree with red border while men wears Dhoti Kurta. People wish each othery saying “Shubho Nabo Barsho !!”. Various cultural activities of dance, songs, poems are organized in various parts to celebrate Nababarsha. People participate in this activities joyfully. People visits houses of friends and relatives for wishing them on Nababarsha.